The Merkur 45 Double-Edge Safety Razor is a three-piece lightweight razor made from the early 20th century resin Bakelite. 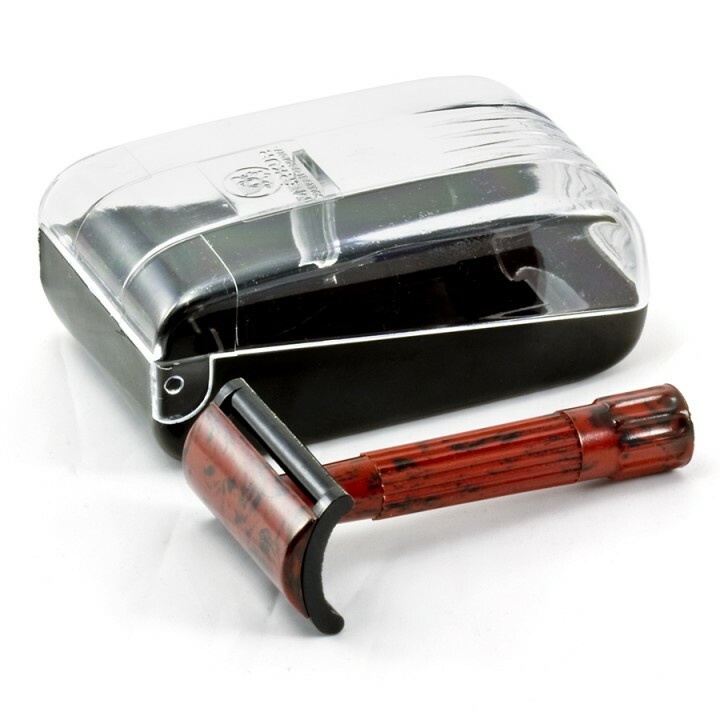 But unlike other Bakelite razors, the 45 is capable of delivering an amazing shave and has garnered rave reviews in the wet shaving community. Its head is not unlike that of the Merkur Progress; it bends the blade to a somewhat aggressive angle. Its mere 14 grams of weight and and companion carrying case make it excellent for travel. The razor will accept all standard double edged blades such as Derby, Merkur and Feather. Many of our customers have found that purchasing a razor blade sampler with their first DE razor offers them the opportunity to find the suitable blade for their skin type, style of shaving and razor type, before making a purchase of a large quantity of blades.